How to honor your own mom while helping mothers in Papua New Guinea this Mothers Day. Never in a million years could I imagine needing an emergency c-section or experiencing post partum hemorrhaging or seeing my baby need resuscitation and not being in a facility that can accommodate those types of emergencies. And yet tens of thousands of women around the world give birth in conditions where a clean bed isn’t even available, much less electricity to support life-saving devices. You can see fresh lochia pooling in the mud where Bokoro had just birthed her daughter. I went back to our Medical Ship that evening stunned at what I had just witnessed. I also left completely in awe of the resilience of strong mothers like Bokoro and her darling baby. The women of this region are dignified and courageous, beautiful and precious. There are many contributing factors to maternal and infant mortality in the developing world, and unfortunately there is not one blanket solution to “fix” the problems. We are continually in search of ways to address the issues these families are confronted with. During a research trip to Africa Dr. Laura Stachel discovered that women were often giving birth in clinics by candlelight, kerosene lantern, or even the dim glow of a cell phone because electricity was fickle and inconsistent. In one instance she was observing a c-section when the power cut out. She stood holding a flashlight for them as they continued with the rest of the procedure, and reported that the health workers around her weren’t phased by the incident – after all, it was a regular occurrence. In the areas where my family and I serve in Papua New Guinea (PNG) with the YWAM Medical Ship, even clinics and aid posts are few and far between. There is still much development to be done in the region, despite many passionate locals working tirelessly to make a difference. Community Health Workers are crying out for resources and support. 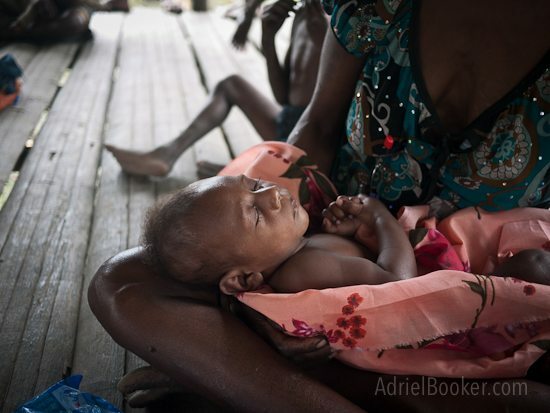 For the past few years the Love A Mama Mothers Day Drive* has been working to get clean birth kits and other maternal health resources into the hands mothers and care providers in rural PNG where the maternal death rate is a mind-blowing 1 in 7. The simple components of a clean birth kit – such as sterile gloves and a clean blade to cut the umbilical cord can help safe guard against infection — one of the leading causes of preventable maternal death. To date we’ve received close to 10,000 birth kits. Now it’s time to expand our efforts to help these dear ones. These women—and their babies—need every advantage we can possibly give them to help combat the odds that are so heavily stacked against them. 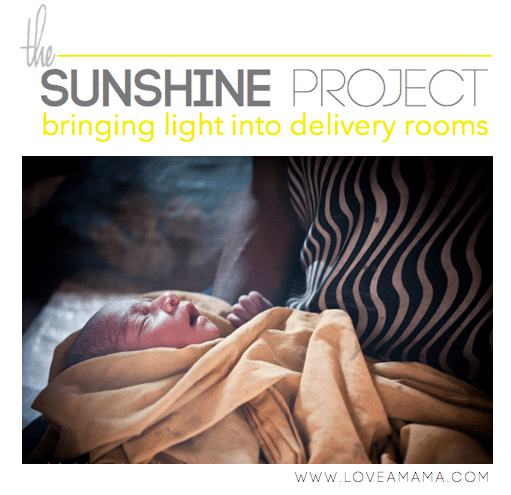 It’s time to bring some light into the delivery room. One suitcase that can bring light to many. 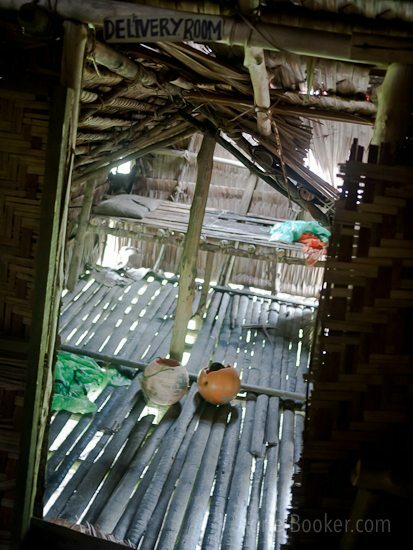 One simple innovation that can help sustain life for countless women and children. This Mothers Day why don’t you consider giving a gift that will far outlast flowers and chocolates? Make a $10 donation (or more) on behalf of your mom (grandma/daughter/friend/etc.) and we will send you a personalized PDF for you to forward to her (or fold into a card) for Mothers Day. The letter will describe the donation you made in her name, what it’s for, and the lives that will be impacted through it. Donate online at YWAM Medical Ships. Donations will be accepted indefinitely, but to receive a personalized Mothers Day letter, I need to receive your donation by May 8, 2013. 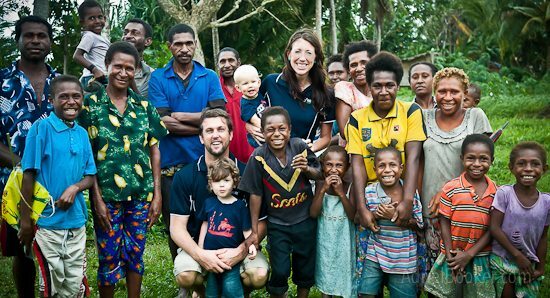 My family and I will be headed to PNG to join the YWAM Medical Ship this July and we sure hope that we’ll have a very special piece of extra luggage to pack along with us. We’re going to bring light on your behalf! Dear friends, I know that so many of you have captured a heart for maternal health in the developing world by getting involved with Bloggers for Birth Kits (clean birth kits) and Project Baby Bilum (providing ring slings to women in need). I hope you’ll now see the need and opportunity and get behind the Sunshine Project too. The needs of women and children are critical and this is one small way that we can make a big impact for real women and real babies. Let’s spend this Mothers Day not just being consumed with our own entitlements, but by remembering the blessings that we have and remembering those who go without. p.s. Please share about the Sunshine Project on social media and among your networks. 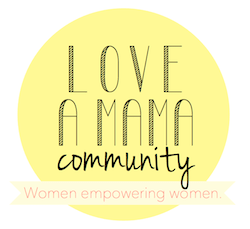 If you’d like, you can also use the Love A Mama logo (or the Sunshine Project logo) in your own writing and promotions – just right click to copy the image below and then link it to www.loveamama.com. *The Love A Mama Mothers Day Drive was formerly called the Bloggers for Birth Kits Mothers Day Drive. This looks like a great project and the new website is beautiful! 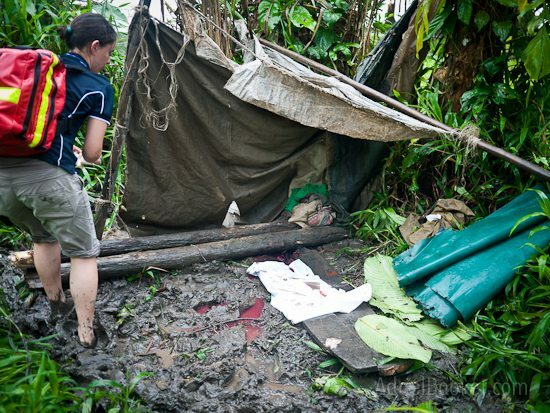 I hope my group (Cooroy MOPS) can either help with this or the birthkits. Thanks for giving mums – and moms : ) a chance to help. Wow Miranda – a Townsville girl who’s lived in PNG. There you go!! I hope you can help spread the word about this important project! This is such a wonderful idea! May God bless your project abundantly! Love it. So excited for this. Your heart continues to amaze me! is there another way to donate? it wont accept my transaction. Hi Cory. Are you with an American bank? Sometimes the American banks see that you’re making an online transaction overseas and automatically block it for you (thinking it’s fraudulent). Our system seems to be working fine (we’re getting other transactions and donations without problems) so I’d suggest ringing up your bank to see if they’ve blocked it. Let me know how you go. The only other option is to do it through my personal paypal and then I can pay it out for you, but I’d rather it go straight through our accounts office if possible. Let me know how you go with your bank. p.s. Thanks for wanting to get involved!! gosh cory – what a huge pain! i’m glad you got it sorted out. was it the international block thing? i get the same thing from my american bank (b of a) from time-to-time even though i’ve been living overseas for 13 YEARS!! it’s super frustrating, even though i get that it’s a “service” meant for my protection. Ya it was getting blocked. My credit union flags Australia cause its known for originating much online fraud I guess. They allowed it the first day but it still didn’t work. They dug deeper today and we got it all squared away. My wife really wanted this for Mother’s Day and I think it’s great. Hope you reach your goal! p.s. your website is really cool, cory! great design. Also having trouble…keep trying but it says it cannot accept transaction. Let me know if there’s another way! Hi Anna. I’ve just responded to Cory above, but my anti-spamware won’t let me post the same comment twice. I’ve told him that his bank may have blocked it. Have a look at my comment to him and see if that makes sense for you, too. Thanks! I’l give it another go today after calling! Yup – I managed to shut down our whole credit card, much to my hubby’s surprised when it got denied! Got it all cleared up and it accepted it! So excited to donate to this project and it is such a great Mother’s Day gift! I am in the US and my donation transaction time is Australian time (already 5/9) can I still get a PDF card emailed to me? Great project! Are you still in need of the birth kits? I have several nurse friends who I go to church with and I think this is something they would love to do together. Thank you for all your do for these moms in need!